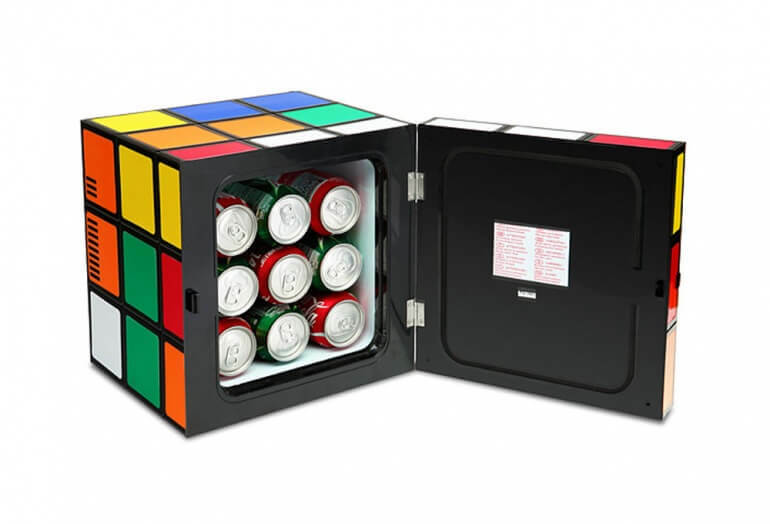 This is the perfect mini fridge for any Rubiks Cube fanatic. Plus it cools AND heats. 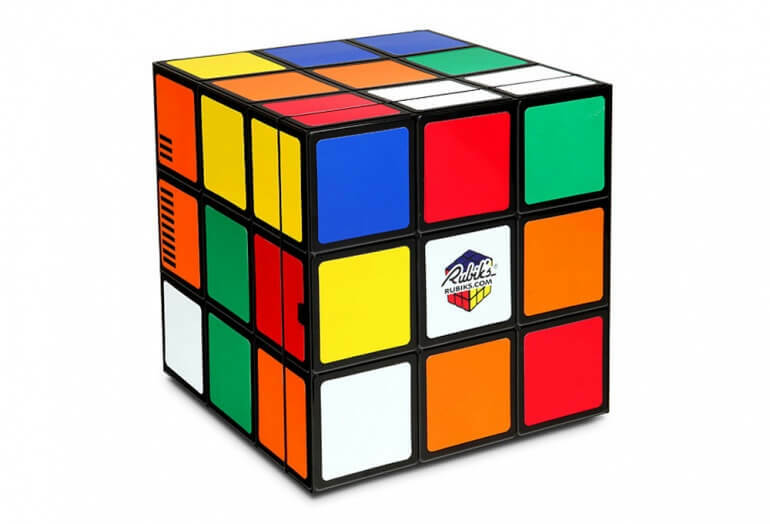 This amazing little mini fridge is perfect for anyone who loves Rubiks cubes. The exterior is a roughly 1 foot square Rubiks style cube. Inside the mini fridge holds 9 cans with a small amount of extra room. The cube doubles as a cooler and heater. It keeps the inside cool from 32-44°F or keeps things warm from 131-149°F. Unfortunately the unsolved appearance may drive you mad!